Jeremy S. Begbie. Music, Modernity, and God: Essays in Listening. Oxford: Oxford University Press, 2014, viii + 261 (272) pp., £35.00/$55.00 hardback. 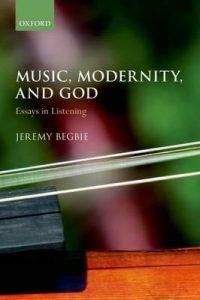 Music, Modernity, and God: Essays in Listening (henceforth, MMG), by Jeremy Begbie, Thomas A. Langford Research Professor of Theology at Duke Divinity School, is a welcomed addition to theological interpretations of modernity. Set alongside other notable books on modernity,  Begbie’s contribution widens the aperture on the world of music, a world often neglected because it is seen as merely the epiphenomenal foam on the sea of culture rather than one of the deep currents shifting social realities. But music, Begbie contends, does its own work to shape social and theological imaginaries, and MMG ably demonstrates precisely this claim by meeting its two interrelated goals: 1) to listen closely to music’s ‘”theological performance” of some of modernity’s most characteristic dynamics;; and 2) to illustrate the ways in which music can address and move beyond some of ‘the intractable theological aporias that modernity has bequeathed to us’ (1). At bottom, MMG is an invitation to hear afresh the elaborate, polyphonic themes that comprise not only the modern world but also the world of theology. To attune the reader’s ear, MMG offers five stand-alone essays (chapters 2-6) and a two-part sixth essay (chapters 7-8). The first four essays attend in chronological order to particular figures engaged with particular issues at particular moments within the flowering of modernity. The fifth and sixth essays address more generally the underwriting assumptions of modernity and suggest constructive proposals for how music might rehabilitate our hobbled theological speech, which has been pulled out of joint by modernity’s metaphysical commitments. Taken as a whole, these essays address the deficient doctrine of creation implicit in modernity, which, in turn, reveals a constellation of false binaries that plague modern language about God and the world. One way Begbie illustrates the insufficiency of the doctrine of creation implicit in modernity is to examine John Calvin’s theory of music in chapter two. In Calvin, we glimpse music’s migration from the doctrine of creation to anthropology. Music is no longer a reality woven into the fabric of the natural order within the wider world, but a construct of human culture. Thus, Calvin positions music in service of the Word’s work to order the human heart to right worship of God (23). Dislodged from the cosmological order, sound lacks inherent meaning; only when yoked to words can music “say” something (36). And human words only speak of God when they have their ground in God’s revealed Word. According to Begbie, Calvin’s decision to relocate music’s doctrinal home in anthropology has a theological payoff. 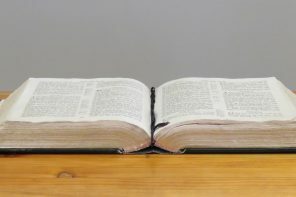 Human language participates in the very words of Jesus Christ, as the Great High Priest who, by the Spirit, speaks on behalf of his brothers and sisters to the Father (Heb 2:12). But Calvin and those after him fail to follow some of his best insights about Christ as the Mediator of creation and the Spirit as the one who draws creation toward eschatological consummation. As a result, Calvin’s belief that music’s rationale and materiality is a humanly grounded practice bears the marks of modernity’s doubt that the created order participates in and witnesses to God’s active involvement in the created order (35). Without a theological cosmology that can hold together music and word in a shared context, a bifurcation emerges on the supposition that words have one provenance and music another (40). Begbie’s emphasis here on the need to reinvigorate a theological cosmology is not an attempt to put Humpty Dumpty back together again, because new forms of knowledge have irrevocably fractured medieval metaphysics. Nor does he look to modern notions of natural theology that suppose that knowledge of God can be read right off the surface of the physical world like words on a page. Instead, Begbie listens to how music might help clarify what it means to do theology that ‘could legitimately call itself “natural”‘ (74). Begbie claims that only a doctrine of creation conceived in its trinitarian context can describe the character of the physical universe in a truly “natural” way. He suggests that music has a special part to play in a theology that seeks to bear witness to the ‘non-godforsakenness of creation’ (93), to show that the world is the creation of the Triune God revealed in Jesus Christ. Here, I will limit my remarks to just two ways that Begbie believes music evokes a trinitarian vision of creation capable of heading off those a priori assumptions that spawn ‘the most prominent binaries of modernity: that between nature and culture, discovery and construction, receptivity and creativity, rootedness in “the given” and orientation to the “new”’ (89). First, music helps us imagine a way in which the world’s order and human innovation share harmoniously in the Triune God’s relation to creation. In chapter 3, Begbie’s treatment of Bach inverts the direction of inquiry: rather than seeing Bach as an object of scrutiny to poke and prod until he “tells” us something about modernity, Begbie holds him up as a mirror to reveal some of the deepest and most concealed metaphysical and theological convictions of modernity. The sublime harmony of innovation and order in Bach’s music subverts contemporary suppositions of the universe that cannot help but set discovery and inventiveness, “nature” and “artifice” (49), “time” and “eternity,” and “nature” and “supernature” in opposition to another (58). Begbie demonstrates that, while modern descriptions of Bach fail to do justice to his music at exactly these points, a trinitarian understanding of creation can speak cogently about the “open-endedness” of his work. Moreover, the order and openness that characterize Bach’s music witness not to a preexistent, static, self-sufficient order that humans then appropriate or adjust according to their will, but to the ‘world’s contingent order, which is being ‘perfected’ by the particularizing, proliferating ministry of the Holy Spirit, who effects faithful but unpredictable improvisations on a harmony already achieved in Jesus Christ’ (52). In sum, Bach’s music recoils back on its interpreters, forcing them to consider the trinitarian pattern of the created order, which is the very possibility for the existence of music like his in the first place. Second, music aids our articulations of God as trinity to move beyond some of the tacit limitations of spatial language. 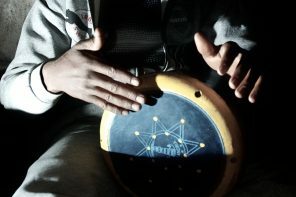 And since there is an intrinsic connection between God’s freedom and ours, music also obviates the “zero-sum” problem of conceiving the relation between divine and human agency. In chapter 6, MMG’s most constructive essay, Begbie argues that spatial language cannot but help make God yet another item on the inventory list of the universe (145). God and the world cannot occupy the same place at the same time, so we are faced with a zero-sum alternative: the sharing of space (50% God, 50% human) or mutual exclusion (100% God, 0% human, or vice-versa). But the ‘space of musical tones is a space of interpenetration, of coming from-coming towards, and of resonant order’ (163). Sound space gives us a way to speak of God’s triunity in terms of reciprocal interpenetration, without exclusion or conflation, together constituting one space and enhancing the particularity of the other (171). Sound space also allows for non-competitive agency to characterize the Creator-creature relation because one tone can transcend another, while both remain irreducibly distinct, and thus bring “life, abundance, fullness to the other notes” (165). In God’s engagement with us, we become more ourselves as our lives resonate with God, by the work of the Spirit. Music, Modernity, and God certainly deserves more attention than this review can give. Although Begbie advances sophisticated and sometimes technical arguments, his lucid prose rewards those who heed the invitation to listen: the theologian, the musician, and the pastor alike. Begbie’s use of music to interrogate some of modernity’s deepest assumptions is a particularly effective way to throw into relief the tensions of the conceptual worlds that we inhabit. Moreover, even this tone-deaf reviewer finds himself convinced of Begbie’s claim that music is indispensible to the formation of more faithful theological language. MMG is one of those rare books that engenders new connections and possibilities for theological reflection. And, yet, at times, Begbie seems to stop short of precisely the kind of constructive theological work he has just convinced his reader is possible. Nevertheless, MMG pushes important discussions forward—the formal considerations for a doctrine of creation, the basis for the relationship between theology and the arts, the generative power of music to reform theological language, and theology’s contribution to the study and understanding of music. For all of these reasons, MMG delivers on its promise to illumine the problems and possibilities of talking about God in the modern world. For example, see Taylor, Charles. A Secular Age. Cambridge, MA: Harvard University Press, 2007; Gregory, Brad. The Unintended Reformation: How a Religious Revolution Secularized Society. Cambridge, MA: Belknap Press of Harvard University Press, 2012; Israel, Jonathan. Enlightenment Contested: Philosophy, Modernity, and the Emancipation of Man, 1670. New York: Oxford University Press, 2006; Funkenstein, Amos. Theology and the Scientific Imagination from the Middle Ages to the Seventeenth Century. Princeton: Princeton University Press, 1986; Pfau Thomas. 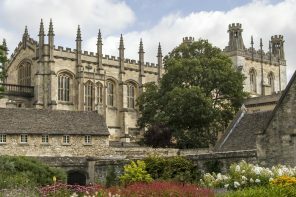 Minding the Modern: Human Agency, Intellectual Traditions, and Responsible Knowledge. South Bend: University of Notre Dame Press, 2013. Dupre, Louis K. Passage to Modernity: An Essay in the Hermeneutics of Nature and Culture. New Haven: Yale University Press, 1993. 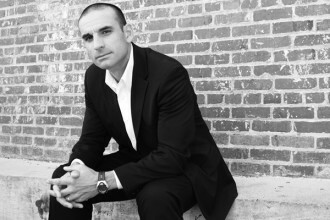 Jonathan Lett is Assistant Professor of Theology at LeTourneau University in Longview, TX. 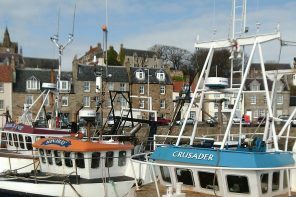 He is finishing his Ph.D. in Divinity at the University of St Andrews. His thesis on human identity is under the supervision of Prof Alan Torrance. Before coming to St Andrews, Jonathan earned his M.Div from Duke Divinity School.